STRASBOURG, France, April 7, 2017 (ENS) – The European Union must improve legislation governing car emissions testing to prevent future scandals like the “defeat device” scandal, the European Parliament said Tuesday by voting to approve four recommendations to the European Commission and the Council. Volkswagen and other manufacturers used computer software called defeat devices to cheat the tests. They were able to identify when a car was being tested and temporarily limit its engine power and thus the amount of greenhouse gases produced. 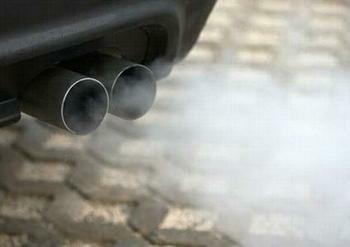 On the road the same car would emit up to 40 times more pollutants. MEPs concluded that although the EU Commission and member states were already aware, more than a decade ago, that diesel cars’ nitrogen oxide (NOx) emissions in laboratory tests differ markedly from those measured on the roads, they failed to act appropriately to protect air quality and public health. Discrepancies between real-life conditions and tests in the laboratory were not a secret, and the use of defeat devices had already been banned before the scandal, but the authorities involved, both at the national level and at EU level, neglected their responsibility to further investigate the issue. They should now act swiftly to improve tests and checks on new cars on EU roads, said MEPs in their recommendations. The non-binding recommendations to the European Commission and the Council are based on a final report by the Committee of Inquiry into Emission Measurement in the Automotive Sector. EU legislation on real driving emissions should be adopted swiftly, with tests covering a wide range of driving conditions, but also with non-predictable variations to detect illegal defeat devices. In a separate vote, MEPs amended EU type approval rules to make environmental and safety testing more independent, with stricter oversight of cars already on the road. After the VW emissions scandal broke in September 2015, the Commission expected member states to conduct the investigations and did not press for additional action, while the Member States failed to penalize car manufacturers or to demand recalls of faulty cars, notes the text of the resolution. Furthermore, no authority in the Member States suspected or searched for defeat devices. They performed only standard type-approval tests, nor did the Commission raise any suspicion, the MEPs said. So, on Tuesday, Parliament approved changes to the EU Commission’s draft law on type approval to improve control of the work done by testing centers and national authorities who approve vehicles for sale. The amended type approval proposal was approved by 585 votes to 77, with 19 abstentions. The proposal was referred back to the Internal Market Committee with a view to upcoming inter-institutional negotiations. Each year EU member states would have to test at least 20 percentof the car models placed on the market in their country in the previous year, and fines imposed by the Commission on car manufacturers who falsify test results could be of €30,000 per vehicle, says the text. Penalty revenue should be used to support market surveillance, benefit affected consumers or for environmental protection, it adds. The Council still needs to agree its position on type approvals before three-way talks with Parliament and Commission can start.